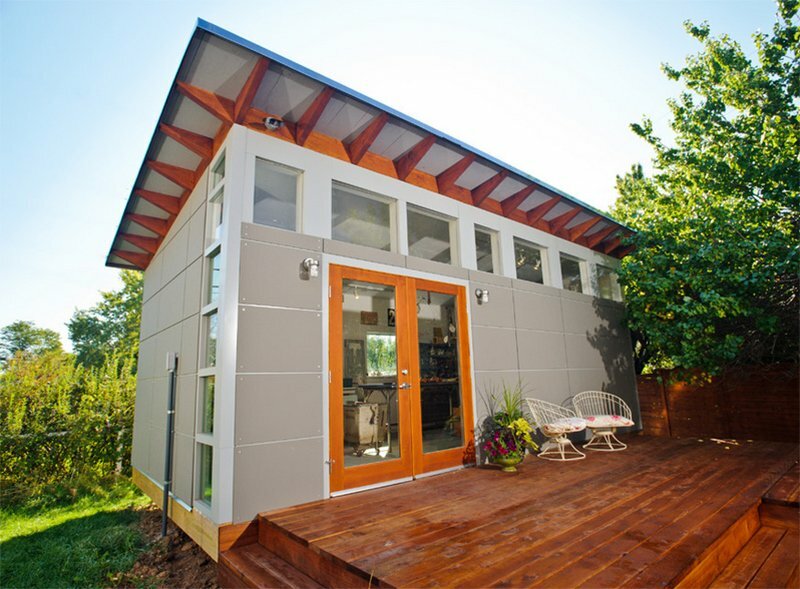 Add a garden shed with a sleek contemporary design into your yard. Commonly, we would think that only plants and shrubs are seen in the garden but others are more creative by adding structures, water features and even seating areas in the garden. This way, it isn’t merely for plants but it also becomes a lovely space for relaxing as well. Apart from those mentioned, gardens can also have pergolas, gazebos and even a shed. 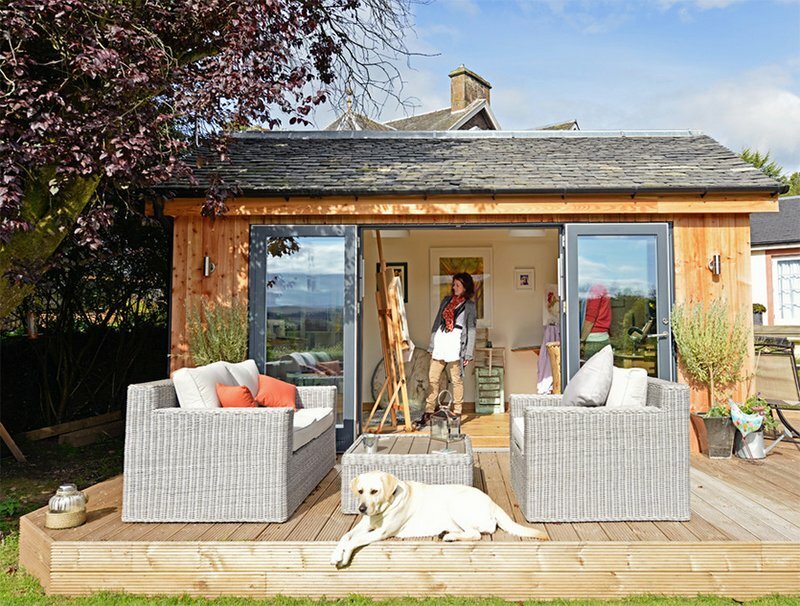 Compared to a pergola or a gazebo, a shed is a simpler structure but is actually more practical and useful- depending on how the owner intends to use the area. If you hear the word “shed,” what comes to your mind could be a mere wooden structure where you can dump items into it or store tools and equipment. But that isn’t the case all the time. 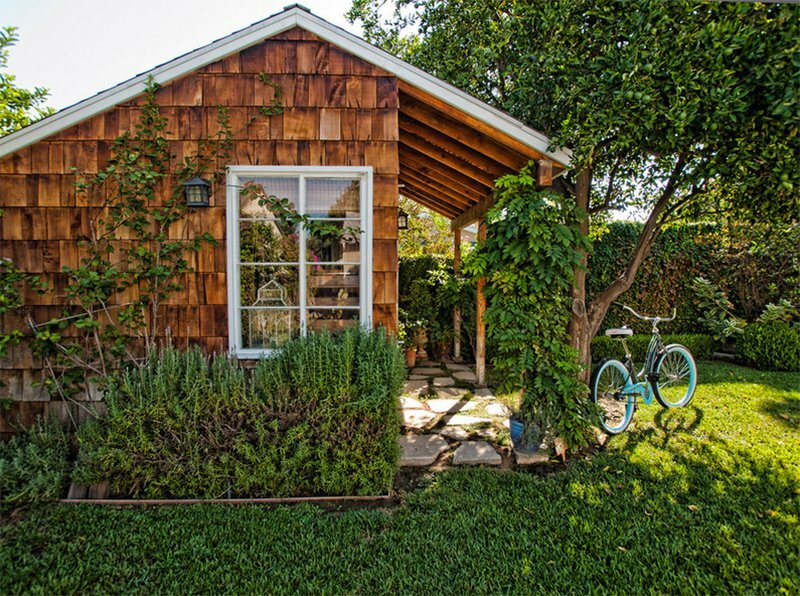 There are garden sheds that are actually offices, studios and others. 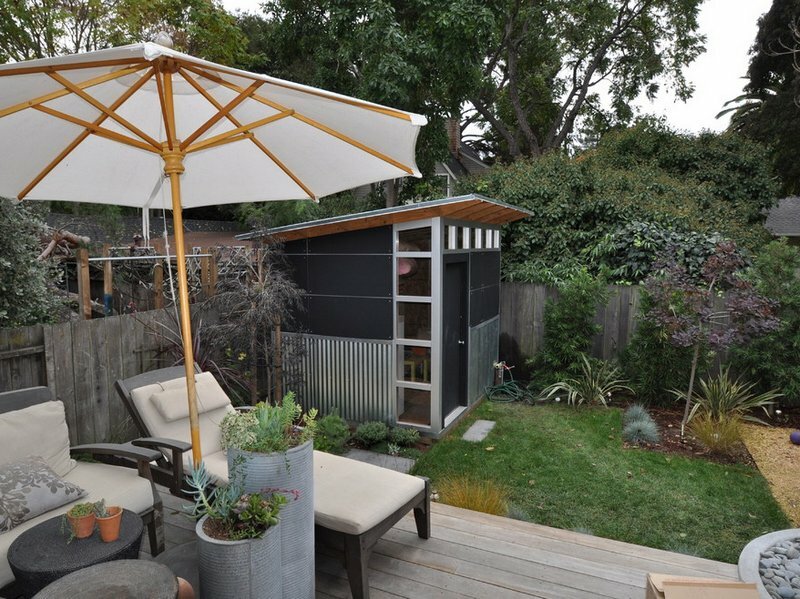 Yes, if you want a certain area in the house but you can no longer accommodate it inside your home, then add a contemporary garden shed and it will not just satisfy your needs but it will also be an added appeal to your outdoor space. So, if you are planning to make one, here is a list of beautiful garden sheds we have collated for your inspiration! This is a fully insulated garden room that is built with SIP (Structurally Insulated Panels) making it fitting for all year round use. It also features Triple Glazed Aluminum clad doors and windows as well as two roof lights at the back of the build, to maximize use of daylight. Love the look of this one with the curvy style. I actually think this office shed is very challenging to make but it looks amazing this way. The glass door and walls is also a good idea so that light can get into the small space. Another one with a curved detail but this one has a green wall and roof which sets it apart from the previous one. Apparently, it has a different design too. 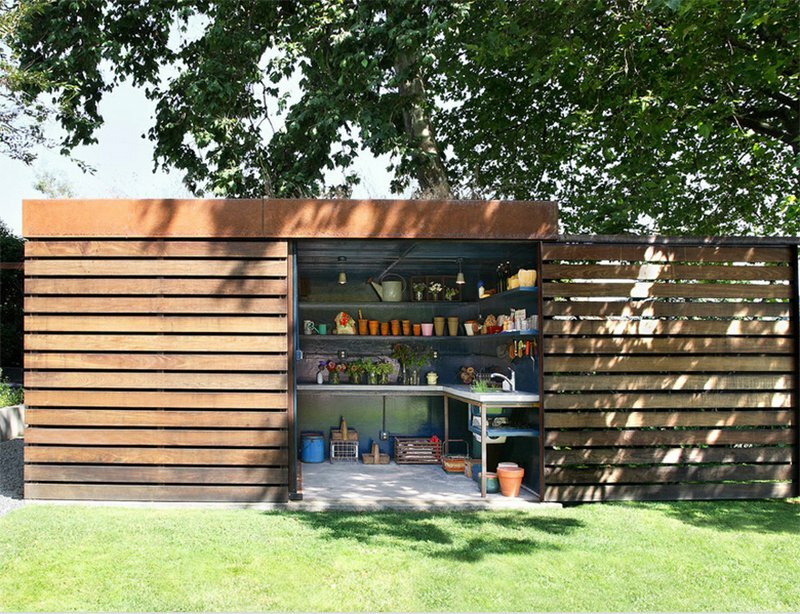 A simple rectangular shed where a kitchen can be seen inside it. 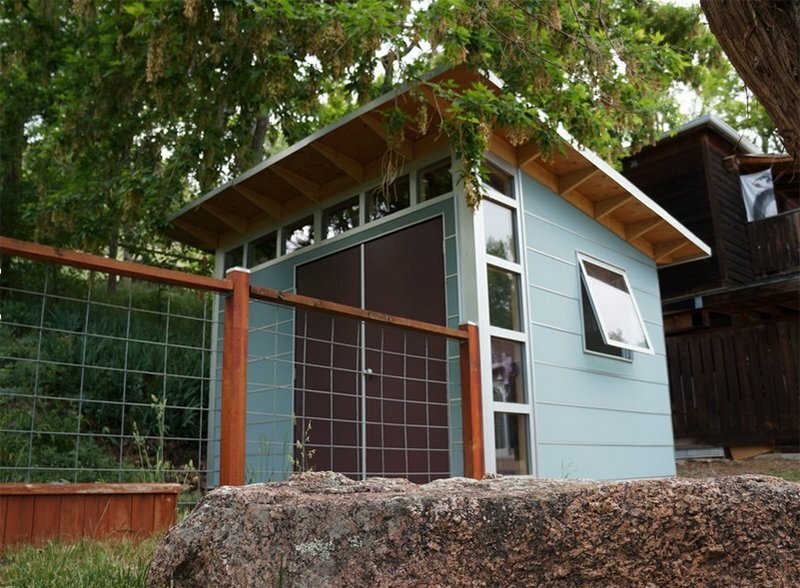 If you want a simple and economical shed, then this one is for you. On top of the shed is a garden where one can literally walk on. Notice that guy there sitting in the garden while reading a book. 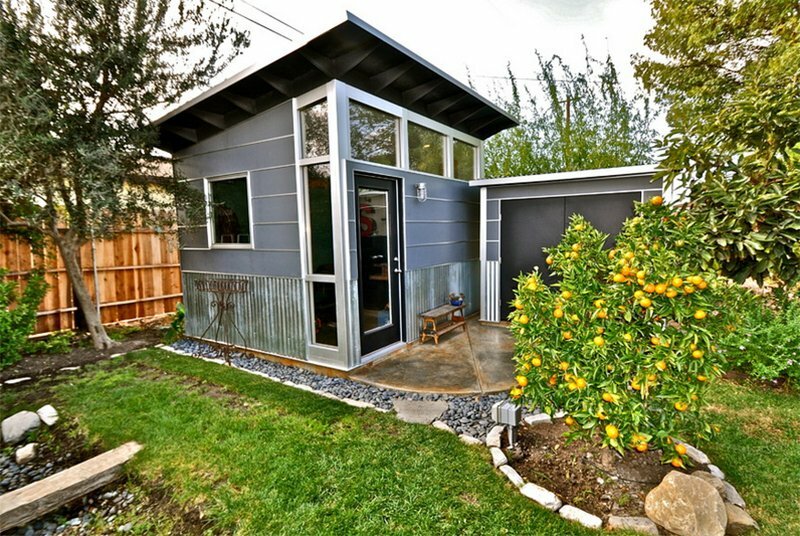 This shed is actually gym featuring awning windows, double doors, and plenty of light. You won’t have any excuse anymore since this is only 10 seconds away at the end of the fence. 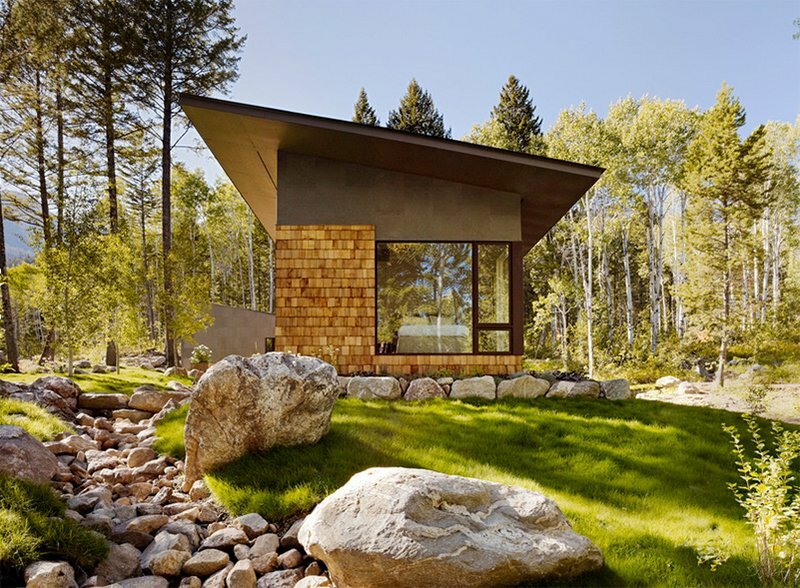 I like the exterior of this shed as well as how it used glass around it. And do you know what this is? It’s a guest house. Well, for sure, guests would love to sleep in here! 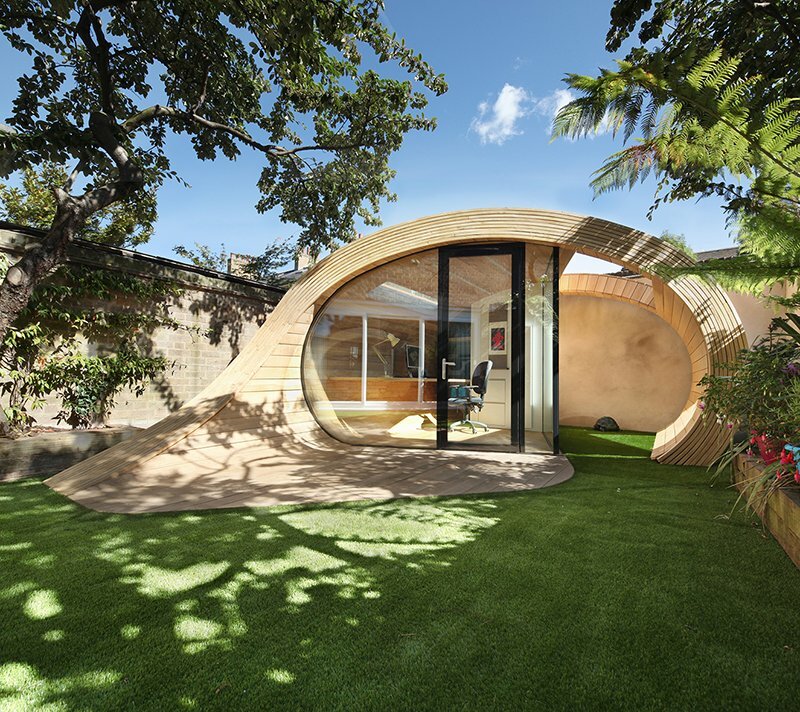 There is some classic appeal to this one but because of its curved roof and how the wood is arranged on the exterior, it can pass as a contemporary shed. This one looks really nice with roofing that connects to its walls. It also has wooden door and a glass walling on some area. I like its chocolate brown exterior as well, and the location is just very relaxing. So, how do you get inside the shed? Well, the door is on the other end where you will pass by a covered area that leads to the door. Interesting design, right? Do you know what else I like here? That cute bird house on the tree! This shed features painted white soffits and stained wood rafters- all of this contribute to creating a shed that isn’t just stunning but is totally functional! Al fresco dining and living space with a shed on the corner. Yes, this isn’t just storage but it has a relaxing area just next to it. This is a good idea for those who merely want to use a shed for storing items and not for other purposes. 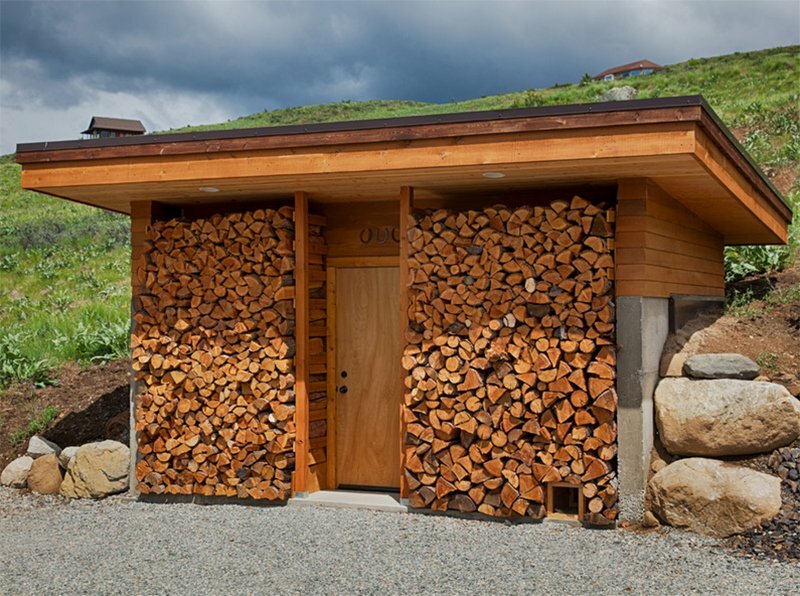 This beautiful shed has a simple design but notice that the facade’s beauty is being created by how they store firewood. Nice, right? Now this one indeed comes with a contemporary look. It has a dark exterior and a white interior. Aside from that wooden bench where the boy is sitting, there is a hanging swing chair. How cute! 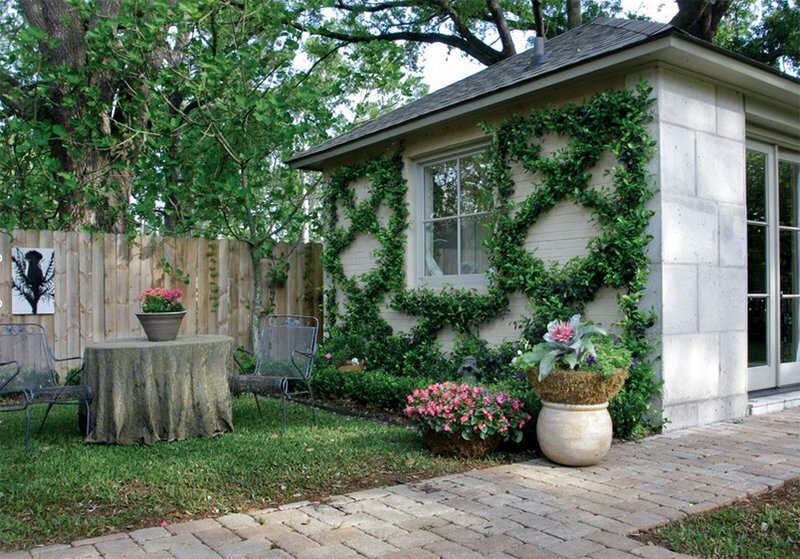 Aside from the design of the shed with canopy on the front, I like the stone pavers that match well with the plants around it as well as the wooden features of the shed. This shed is just small but it has much usage. 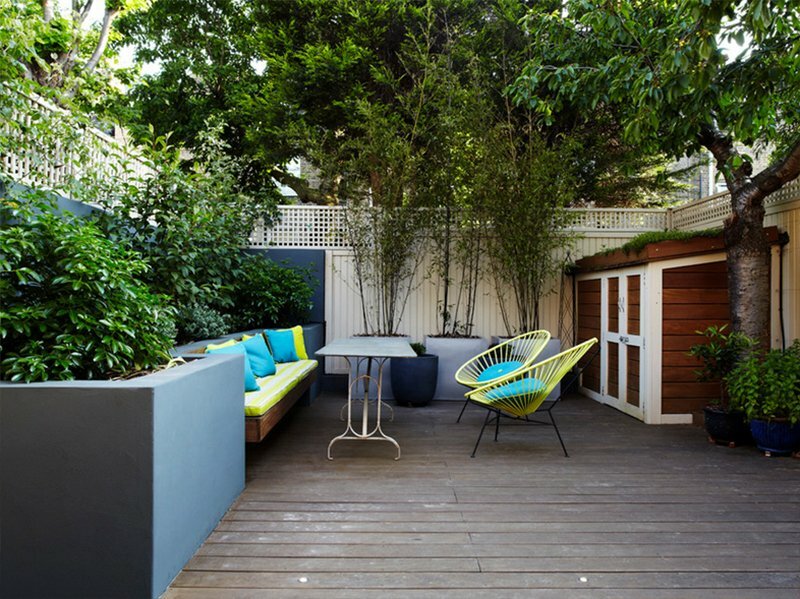 On its facade is a sitting area that is like a small deck. Inside it is a working area with tools that are neatly arranged. On the other side is a storage too that is revealed on the first image where a metal sculpture is added just above it. A beautiful shed design that I would like to create! 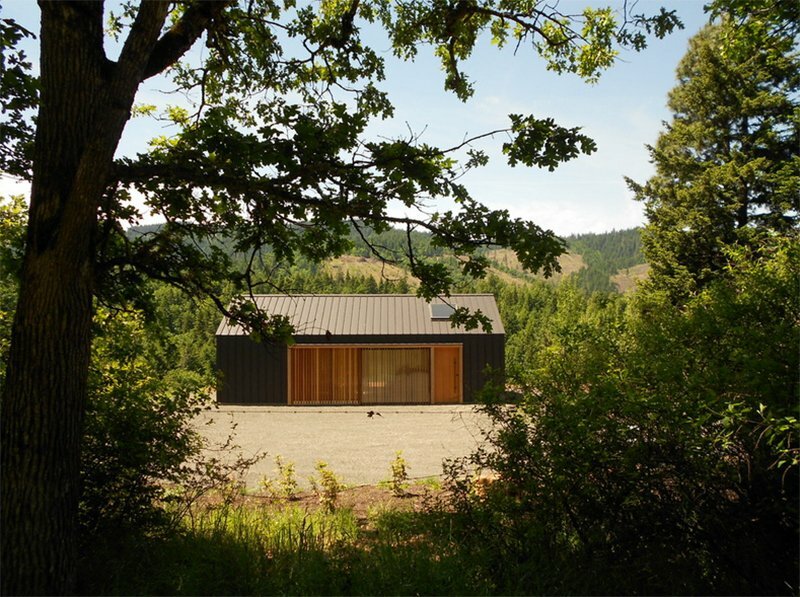 On its lower portion, it used corrugated galvanized sheet that gave this contemporary shed an industrial appeal. 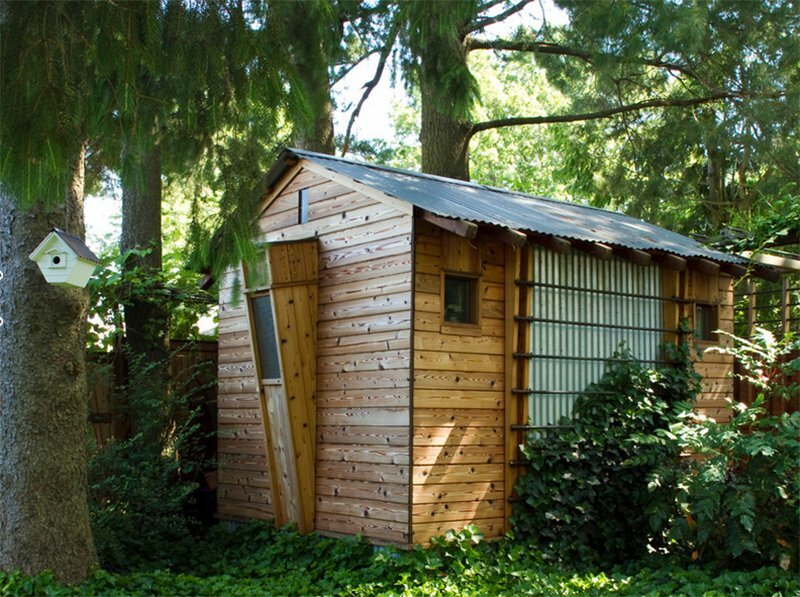 This is no ordinary shed because it is a photographer’s studio. 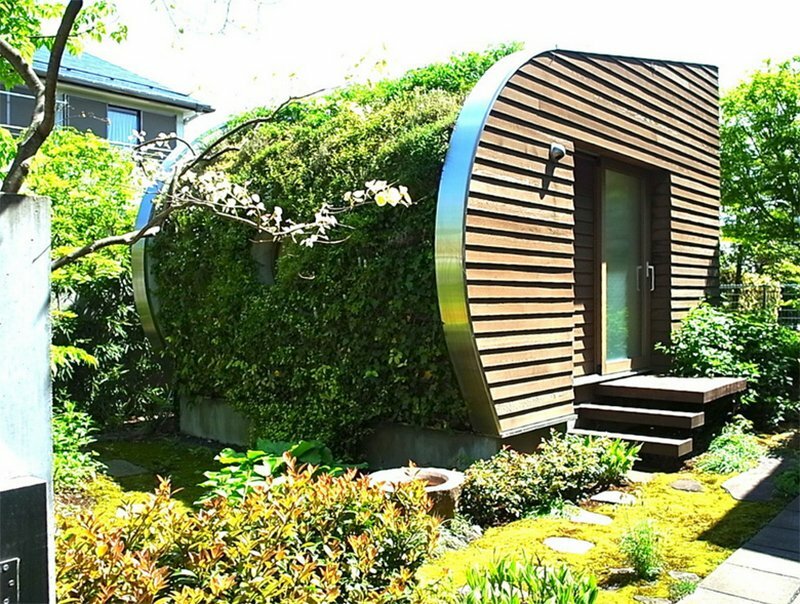 Apart from the curvy details, I like it that this one has a living roof. I also like the combination of wood and white on the exterior as well as the double French doors. Yes, this is a spacious garden indeed. They added a shed with a bold red doors and gray exterior. Cute flowering plants hang from the windows and walls. A wooden dining set is also seen just on top of the bricks that elevates the area. I honestly like this look as it is covered with plants! With the looks of it, it is an art studio. I have always been digging for a home with plant details like this. Guess a shed would be a great idea! 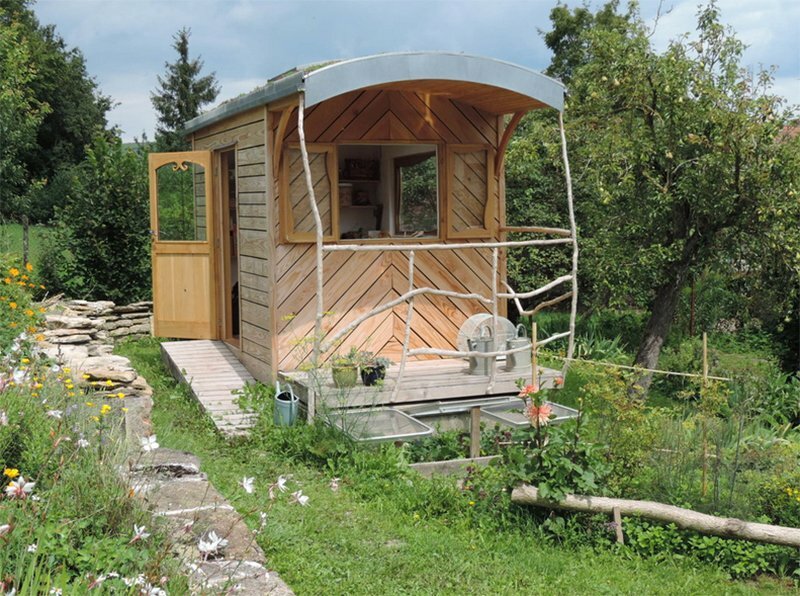 This shed is a wonderful guest quarters with a bath and has also served as a temporary studio for an artist. Like what I said in the previous entry, I like plants on the walls! 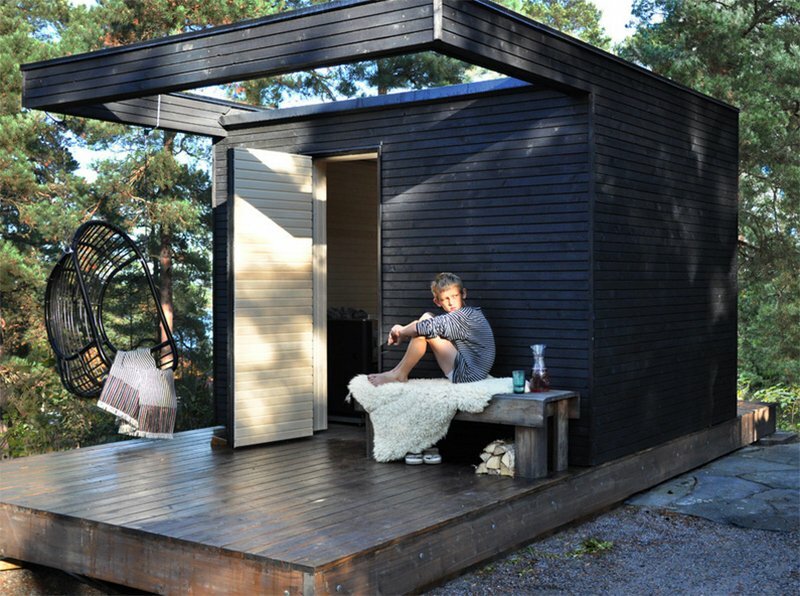 Another contemporary shed which has a seating area just near it. Its colors look very contemporary too. It would really be exciting to have a garden shed with beautiful designs like what we can see above. 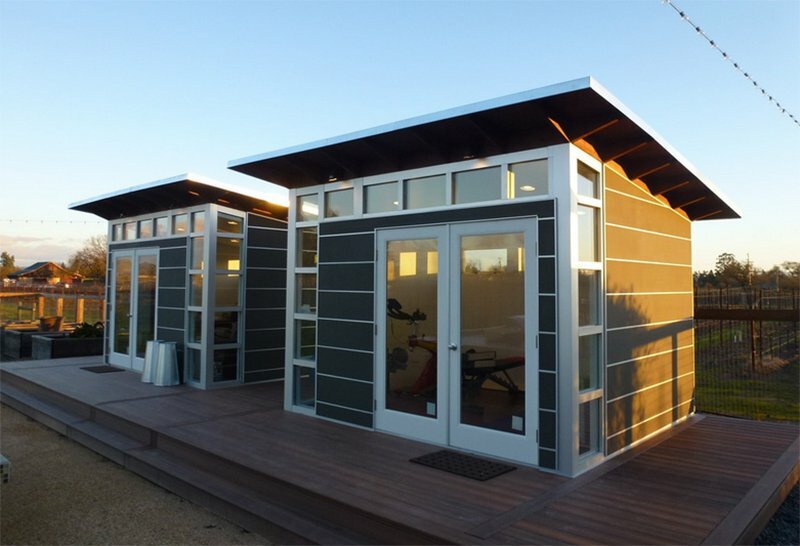 It will not just add an extended space for the outdoor area but it can also be good for storage or for other purposes that you want like a separate office or work area, a gym, a craft space, or just anything. 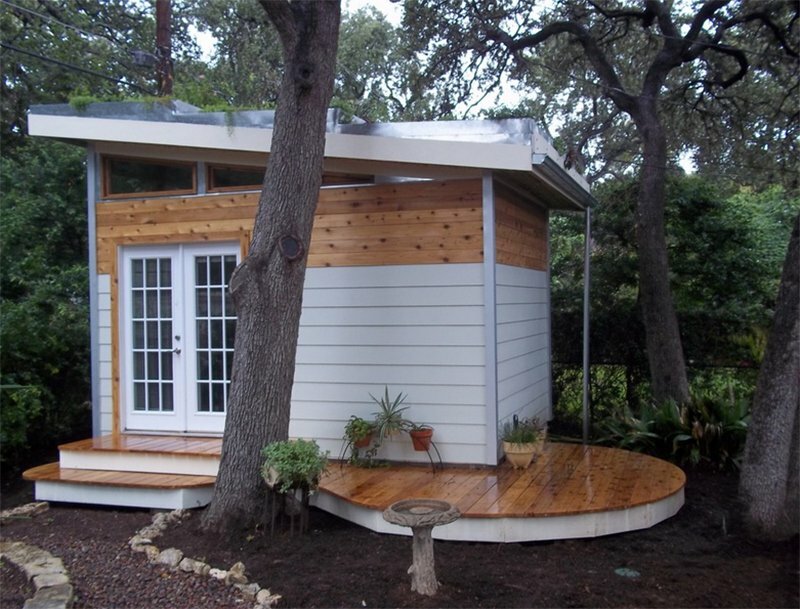 Well, if your shed looks as gorgeous as the above spaces, it can already pass as a tiny house! Yep, I actually think that the sheds are tiny houses as well where one can literally live. 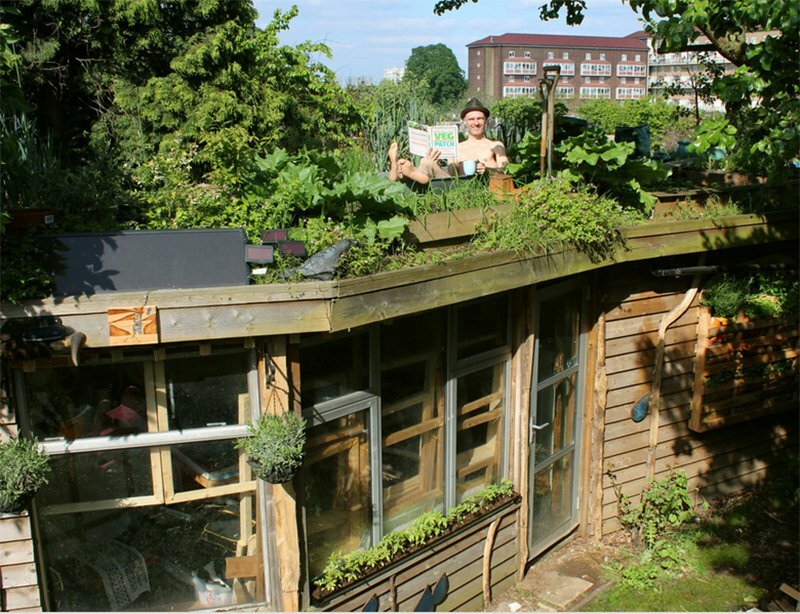 After seeing the sheds above, I feel like making my own shed- only if I have a garden! 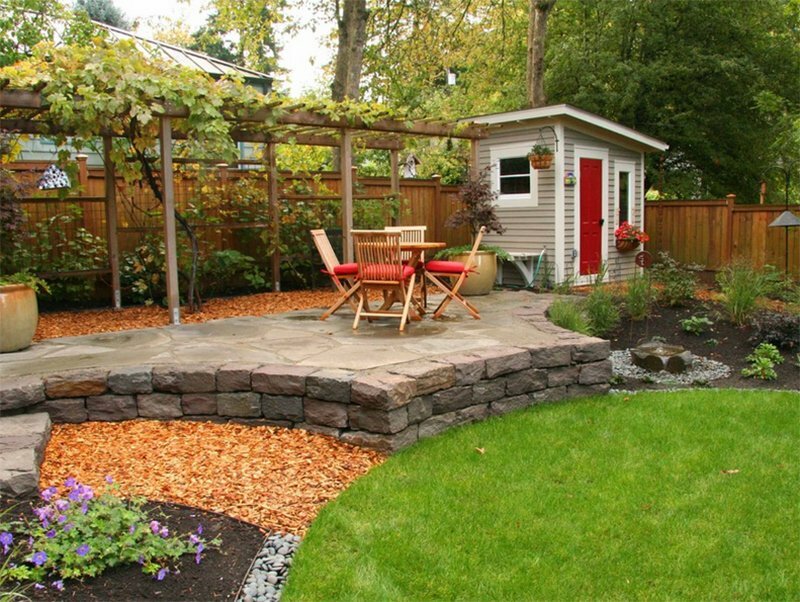 How about you, do you have plans to make a shed for your garden?